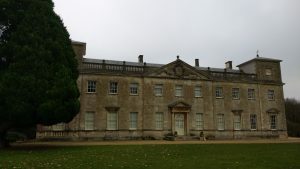 On Friday night (after dinner) we drove down to Swindon, and on Saturday morning I headed to the parkrun there, which was just around the corner (well, about a mile away) from where our hotel was, held in the grounds of a big park (a bit like a stately home I think). 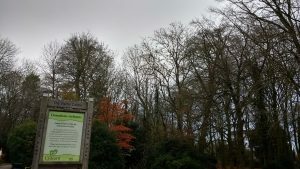 I had looked online at a map, and had the postcode of the park, but as I was driving there were two sets of brown signs- one for the house, and one for the park. In the end I followed the satnav, and it took me to a little car park next to the house. I had a bit of a panic at this point, as I had seen on their page that they usually get hundreds of runners, but there were only a few cars in the car park, and it was about 8.40am. I didn’t want to drive around as I had paid the £2 for the pay and display, and didn’t know if it would be the same if I found the other car park. 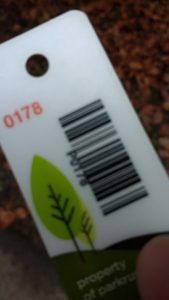 I looked at maps on my phone, and at a map in the car park, but obviously the parkrun start was’t marked! I was about to wander aimlessly about when I saw a man running in a parkrun top, so I asked him which way to go, and he pointed past the house (although he then ran a different way as he seemed to be doing a warm up). Phew! I was very relieved to see other runners! I ran up and down the path a bit to keep warm, as it was so cold- I was surprised how cold it was. I had worn a long sleeved top over my t-shirt, and only took it off at the last possible moment. You can’t see well, but on the table they had baskets labelled 1-100, 101-199, up to 600, for sorting tokens at the end- it was going to be a busy one! At the new runners briefing they asked for any tourists, and then myself and a lady (from Derby I think?) were taken over to see someone else so they could write down where we were from- we then had a little shout out at the main briefing which was unexpected. The course was nice and simple- two laps- I can manage to remember that. They were very organised at the start- I had heard they had pacers for 27 and 30 (among others) and I wanted to be between them- I guessed where to stand, but then just after that the pacers held up laminated signs in the crowd so people could move (amazingly, I was in the right place)- and then one of the volunteers walked through the crowd and collected the signs in. In the run briefing the RD said they had a complaint last week that they started late- she said they needed more volunteers as it was hard to set up in time otherwise, so instead of complaining, maybe offer to help! I liked that attitude! I can’t believe people would complain about a free and volunteer led run! They had a very young child honking a horn to signify the start, and as there were loads of people (over 300) it was quite congested and took a while to cross the start line. Once we got going it was lovely, but oh so cold. I had taken my top off, and was just wearing a t-shirt and my arms almost went numb- there was a very cold wind and a lot of the course was fairly exposed on open countryside so the wind was just blowing across. I did feel a little better in the second lap, but it made my mind up for what I would wear for my race on Sunday. At one point the 30 minute pacer went past me, but he must have been going ahead of 30 minutes as I don’t think I was going that slowly. I did overtake him a little later, but could not catch the 27 minute guy. 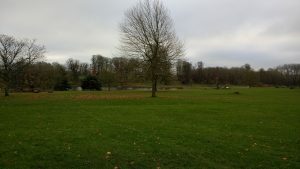 The course was great- open countryside, lovely views, across fields and through a small wooded area. The path was fairly firm (no idea what it was- maybe concrete covered in pale sandy stuff)- there were a few puddles along one stretch but nothing tricky. Each lap was the shape of a triangle, and had a long gentle downhill, a flat bit and then a shorter (but not too steep) uphill section. 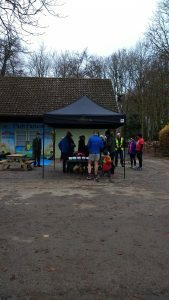 As we ran past the finish area on the first lap, a bit like Ellenbrook all of the volunteers (time keepers, chip scanners etc) were out cheering so it gave you a nice boost. The finish line was a welcome sight after the hill the second time, and I was pleased to finish with token number 178/374. You had to walk back to the start area (maybe 20m) to get it scanned. The scanners took the chips and put them into the baskets, and although your barcode offered a discount at the lovely looking cafe, I headed back to the hotel as we had Christmas markets to get to. Our hotel had a little Starbucks in the lobby so I got us breakfast from there on my way back (although they didn’t stock cinnamon rolls, boo). 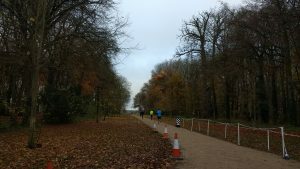 A really enjoyable parkrun, and one I would definitely go back to if I was in the area. 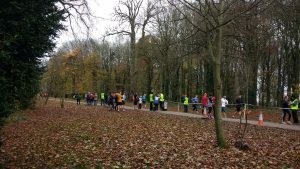 What type of scenery does your local parkrun have? What type of parks do you like to run in? I much prefer the ones closer to countryside than manicured city centre parks.